UPAWS Holiday Store Opens for the Season! 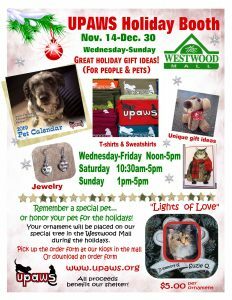 The holidays are fast approaching & that means that the UPAWS Holiday Store is open at the Westwood Mall in Marquette. COOL new styles and awesome apparel — all help to help the pets! Friendly volunteers will be on hand selling pet-themed items to raise funds for our shelter. We’ll have t-shirts & sweatshirts, jewelry, catnip toys, dog toys & unique handcrafted items donated by shelter supporters. It’s a great place to stop for gifts for your family & friends and also help UPAWS. If you’ve been thinking about getting a UPAWS shirt, stop and shop. If you think a pair of paw-print earrings is just the thing to add to a Christmas stocking, stop and shop. And, we’d like to see you anytime, so stop and shop! If you loved our local pet photo calendar last year, the 2019 calendar is available & makes the perfect gift. (Calendars: $12 each, 3 or more $10 each.). Also available at UPAWS. AND, the special ‘Lights of Love’ ornaments will be back this year. (Download form below) For a donation of $5, you can honor a pet or remember a special pet. The ornaments will be on our special tree at the mall during the holidays. And you can get your pet’s picture put on the ornament too! You can download the form from our website or talk to a volunteer at the holiday booth. Stop and see us at the UPAWS Holiday Booth. 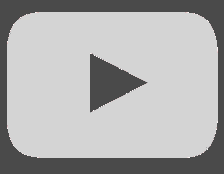 We’re open Wednesday through Sunday afternoons, with longer hours on Saturday. And remember, all proceeds benefit the homeless animals we care for 365 days a year! Hours: Wednesday-Friday, Noon-5:30p.. Saturday 10:30 to 5:30 and Sunday 1pm -5pm.